Coyotes evading police. Billboards predicting the end of the world. It’s been a strange day at the office, and it’s only nine a.m. Moving floor by floor from the basement up to the roof, scenes between employees in a corporate office explore the angst-ridden relationships between those that people often take most advantage of: their coworkers. Setting: Several floors of an office building. WALTER - Facilities Management. African-American. Late 40’s/early 50’s. TOM - Sales. Could be any race/ethnicity. Early 40’s. FARRAH - Product Development. Could be any non-WASPy race/ethnicity. Early 30’s. YURI - Product Development. Russian. Moved to US for college. Mid-to-late 30’s. BILL - Product Development. African-American. Early 30’s. RANDY - Sales. Could be any race/ethnicity. Late 20’s-Early 30’s. PRIYA - Sales. First-generation American, born to Indian parents. Late 20’s-Early 30’s. CHARLENE - Administration. Latina. Early-to-mid 40’s. VIVIAN - Intern. Very beautiful and ethnically ambiguous. Early 20’s – 25. DENNIS - R&D. Overweight. White. 40ish. GEORGE - COO. White. Mid 50’s. 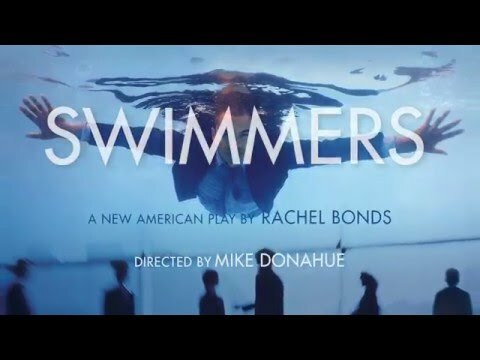 Swimmers premiered at Marin Theatre Company in Mill Valley, CA in March 2016 under the direction of Mike Donahue.